One of the UK’s leading boutique city law firms, Avery Law, has selected encompass verify to support and enhance its Know Your Customer (KYC) compliance processes. Based in the heart of London, Avery Law specialises in Corporate and M&A; Banking and Finance; Commercial and IP; Litigation and Dispute Resolution; and Financial Services Regulation. The only provider of simultaneous, real-time access to multiple sources of global company and person data, encompass is the creator of KYC automation for major global financial and professional service firms. 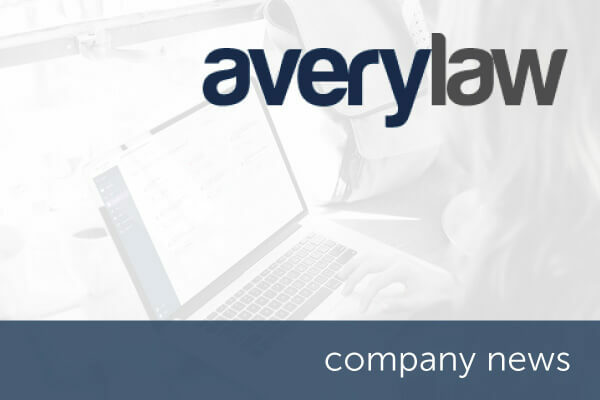 Avery Law is a modern and redefining law firm for the changing legal-marketplace providing legal services with a resolute focus on corporate, commercial and banking. Avery Law fully embraces the virtual model, re-inventing the way in which sophisticated and value-driven advice is provided. Established in 2012. Avery Law provides English law advice to corporates and private individuals from around the world on a wide range of transactional matters. Avery Law focuses on sectors which it has particular experience in and for that reason the partners provide a highly recommended and specialist service. Avery Law is a full service city law firm without the traditional law firm model with national and international reach. Avery Law’s client portfolio includes start-ups, SME’s, entrepreneurs and private clients. For a small firm Avery Law have an unrivalled capability. For more information, please visit averylawllp.com. Founded in 2011 by entrepreneurs Roger Carson and Wayne Johnson, and operating from the UK, encompass is the creator of unique, innovative KYC software for banking, finance, legal and accountancy that enable better, faster commercial decisions. The company is driven by the belief that the best decisions are made when people understand the full picture. Contact us today to arrange your personalised consultation of encompass verify. Discover how our KYC automation software can help your business accelerate onboarding and give you peace of mind that you are regulator ready.